One local woman recently transformed her life - from addiction and chaos to power and focus - and she’s now launching a five step private mentoring program to help other women do the same. It’s easy to get stuck in a rut between social, professional and personal obligations. But what happens when the rut turns into a debilitating downward spiral? The idea for a career in mentoring others was born. 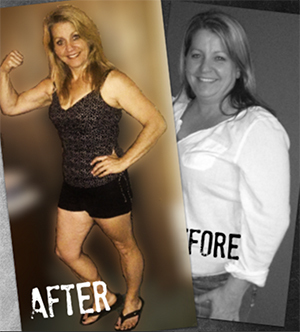 “Through the work with [my business coach] and my own desires to create more in my life, I discovered I wanted to share how I did it and how others could too, so I knew coaching was for me.” Kirkpatrick had already experienced many different seasons of her life; she had married her high school sweetheart and raised two sons, then went back to school in her 30s to complete her teaching degree, but she knew there was more left to her story. A before and after shot of Kirkpatrick. What are the beginning steps for someone who wants to transform their life? Kirkpatrick’s free e-book, 5 Steps to DRIVE, can be found at findyourowndrive.com. She explains, “On this page there is also my scheduler to sign up for a chat with me. I highly encourage everyone to take advantage of this call. It’s a free 15 minute call to learn about what you truly desire and want to change.” Kirkpatrick is also currently offering her newest program, 21 Days to Body Mindfulness, at half-price through December – $17 when you download the eBook. “This 21 day, daily email program opens the mind and connects with the body. It is perfect for those who are not sure they are ready for coaching but want to start the new year with conscious thinking”, she explains. As Kirkpatrick continues along her own personal journey, she looks forward to the opportunity to help other women transform their own. “I will be honored to mentor and witness those women who say yes to finding their own DRIVE for a life they love with no regrets. My commitment will be to continue to be in service and continue to play full-out in my own life, leading the way to freedom and abundance, and all that that implies.” To learn more, visit www.findyourowndrive.com. 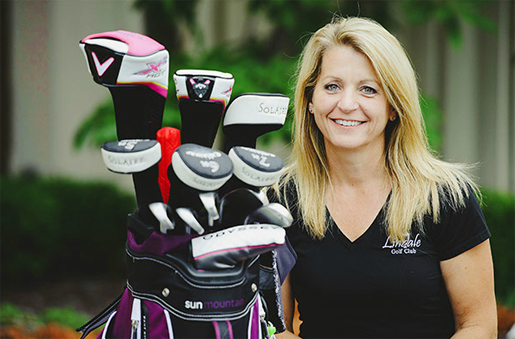 We chat with Missy Kirkpatrick, the owner of Lindale Golf Course, to learn about her women’s workshops and what makes the club unique. For Melissa Kirkpatrick, golf is more than just a game. It’s full of life lessons, and she hopes to share the sport and knowledge with other women interested in learning golf basics while supporting them as they discover much more than just the game of golf. Since purchasing the course six years ago, Lindale Golf Club has established itself as a well-maintained course at an affordable price, according to Kirkpatrick. In addition to the day and evening leagues, special events and outings, they are now offering the golf academy for beginner women golfers. She hosts a Women Golfers Academy that’s a six-week training package that can be one-on-one ($649) or with groups of three ($449 per person). The instruction includes the on-the-course play as well as training materials. Following completion of the training, course packages and discounts will be offered to participants. She also offers free, two-part Women Golfers Workshops for women new to the game. The environment of the sessions will be on the 18-hole public course and will be broken up into instruction categories such as: Speak the Lingo, Find your Swing, Feel Confident, Trust Yourself (on the course and off! ), and Let Go and Have Fun. To learn more, visit www.lindalegolfclub.com, “like” them on Facebook or e-mail Kirkpatrick at missy@lindalegolfclub.com to schedule a session. “Don’t be concerned if you don’t have clubs, shoes or golf attire – we can assist you,” says Kirkpatrick. Watch the exclusive webcast below for more. All work and no play? Get a balanced dose of both at Lindale Golf Academy, where you can socialize with other business women, be inspired, and build friendships – all while taking in fresh air, exercise and social contact. Melissa Kirkpatrick, owner of Lindale Golf Club, knows first-hand the correlations between golf and life lessons. She hopes to share the sport and knowledge with other women interested in learning golf basics while supporting them as they discover much more than just the game of golf. Since purchasing the course five years ago, Lindale Golf Club has established itself as a well-maintained course at an affordable price, according to Kirkpatrick. In addition to the day and evening leagues, special events and outings, they are now offering the golf academy for beginner women golfers. The golf academy is a six-week training ground package that can be one-on-one ($650) or with groups of three ($450 per person). The instruction will include the on-the-course play as well as material distributed through Facebook, the club website, and conference calls. Following completion of the training, packages and discounts will be offered to participants. Next season, Lindale will be offering a larger array of events for women including tournaments, special fundraising events, leagues, as well as scrambles and their mixed couple’s league. “My vision for the future is to incorporate this program with young at-risk women, ages 25 to 35, who are tempted or already turning to drug, alcohol, or unhealthy behavior to mask their emotions and feelings – who need the support and guidance to overcome these barriers,” says Kirkpatrick. To learn more, visit www.lindalegolfclub.com, “like” them on Facebook or e-mail Kirkpatrick at missy@lindalegolfclub.com to schedule a half-hour phone session to discuss details and expectations of the program. “Don’t be concerned if you don’t have clubs, shoes or golf attire – we can assist you,” says Kirkpatrick.